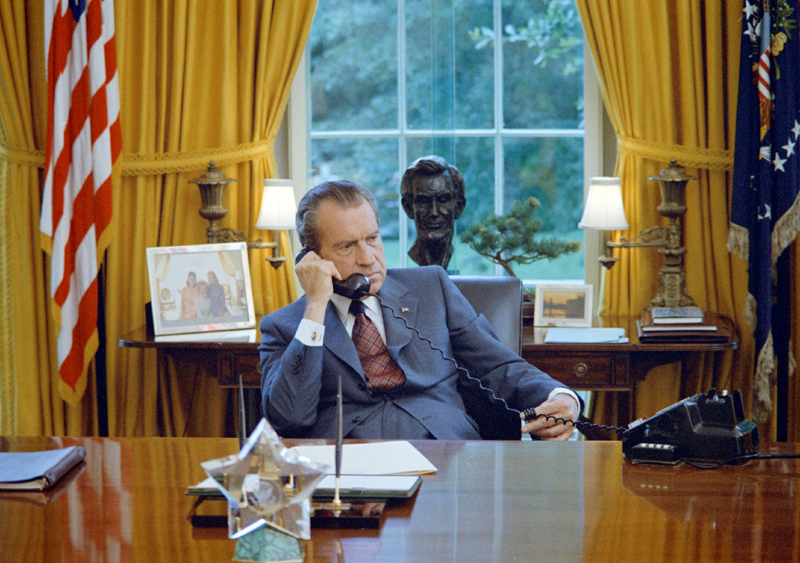 Former President Richard Nixon seated at his desk, with family photos and the Lincoln bust statuette visible behind him, in the White House Oval Office in Washington, June 23, 1972. Sunday, April 22, marks the 24th death anniversary of one of the most controversial presidents in American history — Richard Nixon. Elected as the 37th president in 1969, Nixon’s achievements as the leader of the free world — like ending the United States's involvement in the Vietnam War, fortifying ties with the U.S.S.R. and China — was marred by the infamous Watergate scandal in the early 1970s due to which he was forced to resign after almost getting impeached.